A lot of people thought I was crazy for showing so much enthusiasm about my pending dive with sharks at North Shore. I’d say I was just being a little more adventurous. I expected to get nervous as the day came closer; but the opposite of that happened. I became so excited at the prospect of being in the water with these magnificent animals, and once the day finally came all I wanted to do was just hop in the water! Of course that wasn’t going to happen right away. Everyone on board the boat were split into two groups; and luckily for me I landed in group two. I say I was lucky because the waves in the shark cage caused quite a few people (me included) to become even more seasick. I couldn’t have imagined getting out of the water, then boarding the boat again, but only to have to wait 20 minutes while group two did their dive. Well, enough about the area sickness! What I do want to say was how incredibly magnificent it was to just be in the same water with these sharks. 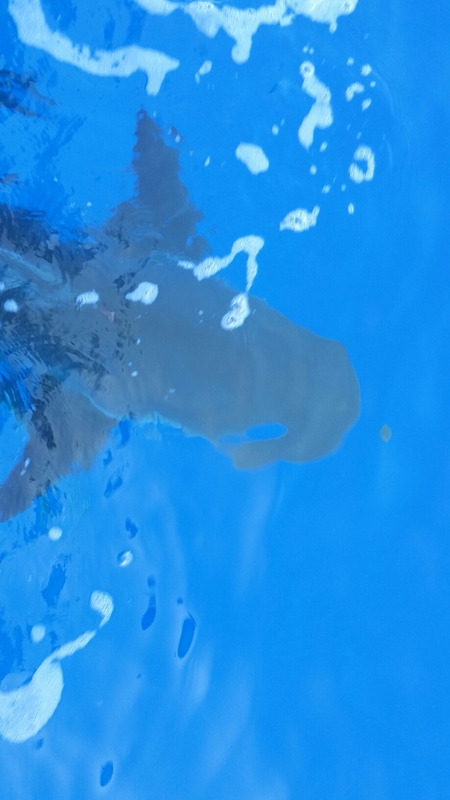 The sharks were about 8-10 feet in length. There were a couple of sharks that would swim beneath us, and I could see a couple were longer in length than the cage we were in! That had me in awe. 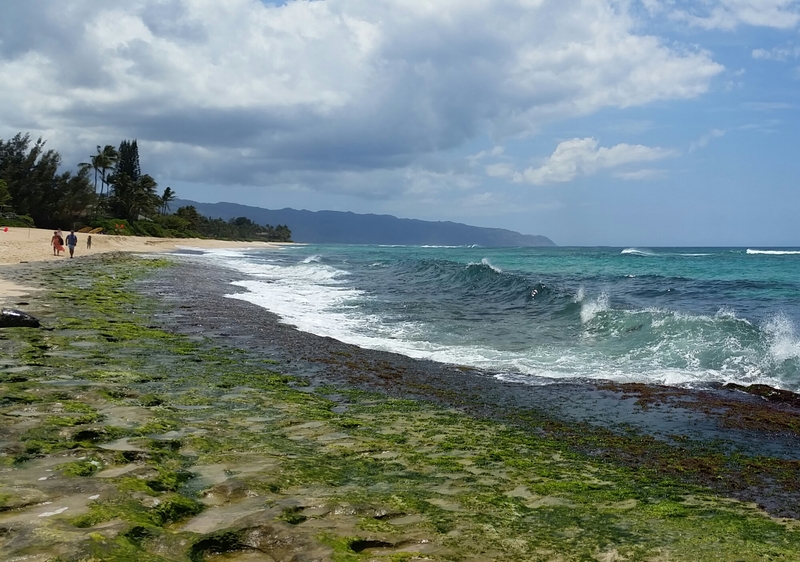 I would most absolutely recommend the North Shore Shark Adventures tour. It’s something you will not be able to experience in other places around the world. 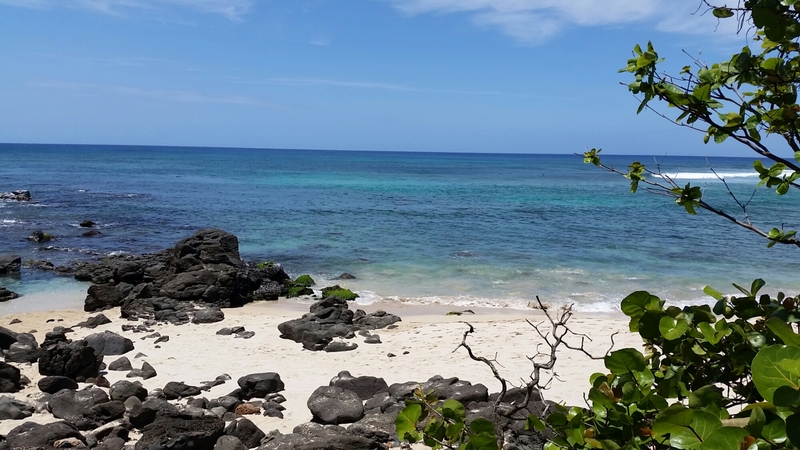 So after the shark dive our captain suggested a few places to visit while we were there; Sharks Cove for some snorkeling and Turtle Beach. After a few days into our trip, I still hadn’t seen any turtles. 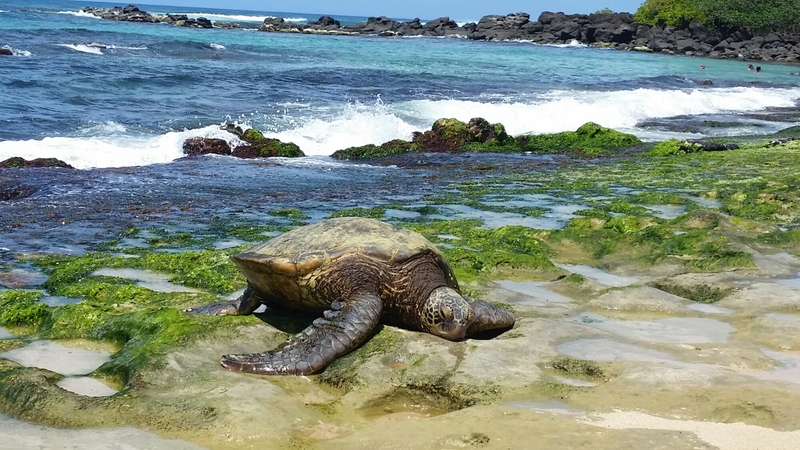 We headed over to Turtle Beach hoping to see at least one turtle before we had to leave Hawaii. I wasn’t prepared for what I saw; turtles laying right on the beach and swimming so close you could see them in every detail. It was just another amazing sight; to be able to see these animals in their natural habitat (doing what they do best)! 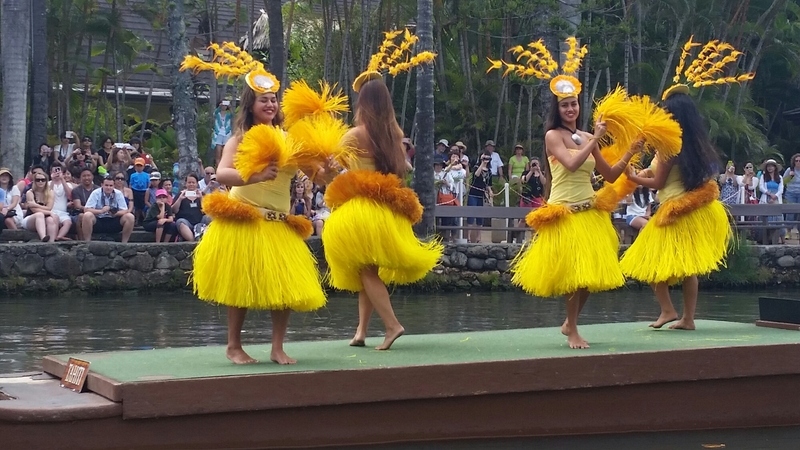 Speaking of experiences you can only do in Hawaii; the Luau is undeniably one of the most popular experiences people participate in when they are visiting the islands. There was no way of getting around it; I had to do this. Even though it’s such an expected thing for a tourist to do, where else in the world would I be able experience a Luau!! 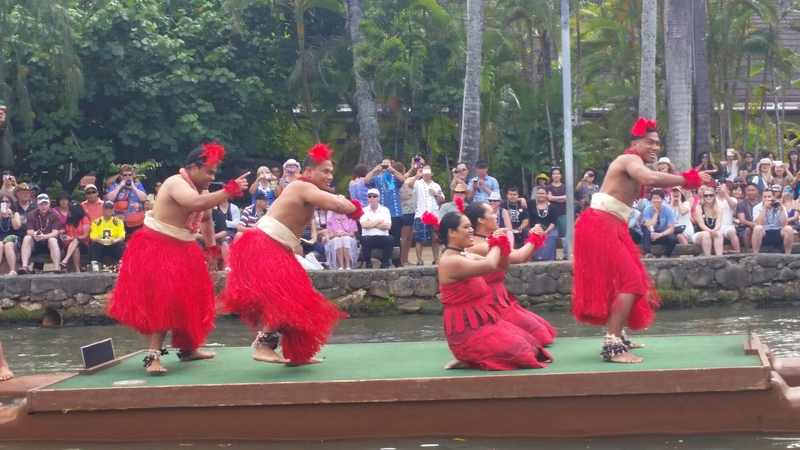 There were a few places to choose from, but I ended up choosing the Luau at the Polynesian Cultural Center (aka PCC). 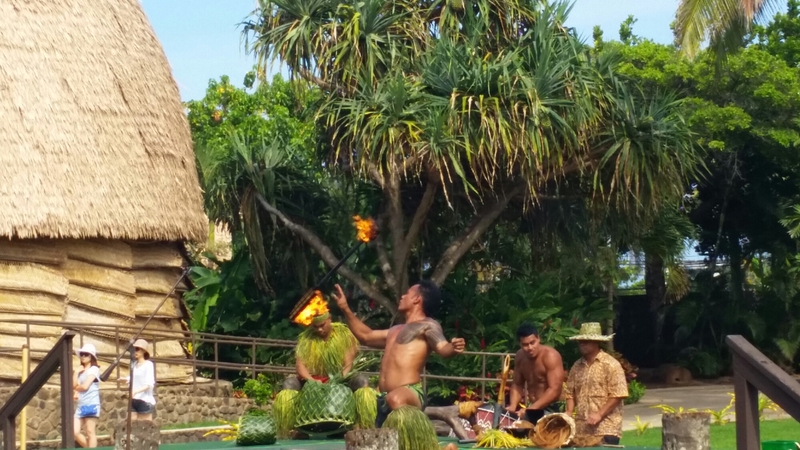 One main draw for me at the PCC was the different villages you could visit to learn about the various Polynesian cultures. Think of it as a Disneyland version of a Luau. 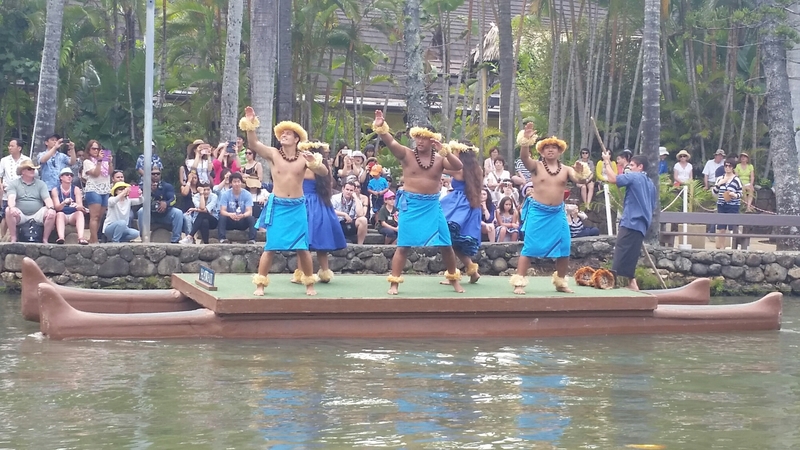 I had fun walking around with our tour guide and seeing the different shows put on by each Polynesian island. Surprisingly the buffet food was good, and the strangers sitting at our table were pleasant. The “Ha Breath of Life” show at the end of the night was the most exciting. Some traditional dancing, singing, and fire breathing was what I was looking forward too!